Transmission diagnostic tool can help before transmission problems become a big hassle. As the most common Trouble Codes come from the transmission of your vehicle. With a transmission diagnostic tool, it will send you a fault code if any. All you need to do is to fix an error code. The reason for this is because of all the friction and movement happening in the transmission system. Within the transmission system of your vehicle, more components are used and worn down over time than any other part of the engine. First, we can take a look at a comparison chart for 7 different transmission code scanners to find out what functions each scan tool has and what is the best fit for your vehicle. Then, a more in-depth review of each product will give us a better idea about the pros and cons of each product. These error code readers can help figure out what happened with transmission diagnostic functionality. Lastly, let us review the 5 most common transmission trouble codes that can appear and cause you a headache. So, let’s get further down! 3 So…..What Transmission Diagnostic Tool is Right for You? First and foremost when it comes to picking out a diagnostic scan tool, you want to make sure you choose the best on the market. With this comparison chart, you can compare the different features available with each device. After comparing the different devices, let’s dive a bit deeper and discover more details about each device on the list. From the most basic scanner to the most advanced, these reviews should give you insight about what scanner is perfect for your diagnosing needs. This particular tool exceeds the functions of the previous tools we have reviewed, for a slightly higher price, yet still, under $100, Autel has created an All System device. 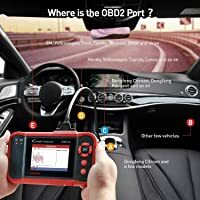 The Autel OBD2 Trouble Code Reader is able to access all modules within the computer of the vehicle, that includes Engine, Transmission, ABS/SRS and more. You won’t be without any testing module that you need with this device, it supports all 10 OBD2 test modes. With this customized system, you only get access to the full system of one specific vehicle software, every additional vehicle comes with an additional $10 fee. As stated before, this device has the ability to access the customized software for the vehicle of your choosing. You will have the chose between more than 40 different vehicle software for your first free download, including Audi, Volkswagen, Toyota and many more. Keep in mind that each additional vehicle software you choose can be downloaded for $10 more. Sleek design but powerful function in Autel Diaglink. All systems- There are no limitations with this new device, you can access all modules to check the health and maintain the engine on your car. Well Made- This is a professional device that is not cheaply made, with a super durable build it can withstand the wear and tear of the workbench. Oil Reset- Many devices are full with the necessary functions but are unable to guarantee an oil light reset, with the Autel Code Reader, all systems are covered. Additional Fees- The first full software vehicle download is free, but after that, if you wish to add more vehicles, expect to pay. Update Confusion- The Autel team has provided highly rated customer service to help anyone who cannot fully understand the update procedure. The Autel Diaglink device is built for DIY mechanics who want to work on all systems of a vehicle. Beyond just DIY mechanics, auto shops like bodyshops, secondhand car dealerships. Moreover, brake/tire or transmission repair shops can also benefit from the advanced functions of this product. Whether you’re a car guru or simply a DIYer, this device can help you get down to the details of your vehicles computer systems. This Code Reader is an easy to function tool that communicates with your vehicles MCU control systems to clearly identify numerical trouble codes. 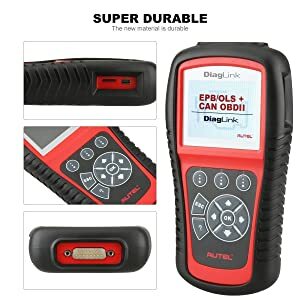 Generally, this simple and compact code reader is the link to perform automated tests on your vehicle’s engine and receive the results or trouble codes..
With a strong memory feature, this device can store codes even if the device is not plugged in. Unlike other more advanced devices, this device relies on a series of flashing lights to read codes. However, lucky for you, you are not required to count each flash and instead can see a clear number and code displayed on the screen. If you’re a vehicle owner for an older model car, this device can help you figure out why your engine may be running rough. Innova 3145 transmission diagnostic tool supports older versions of engines. It works on Ford, Lincoln and Mercury domestic vehicles from 1982-1985. Great Price- For less than $20, this device can help understand error codes on your vehicle’s engine. Easy-to-Use- With a clear digital screen, the Innova 3145 can give a quick, easily identifiable numerical code on the display. Compact- At just 8.6 ounces, this compact scan tool can fit in the glove box. Compatible with Older Models- If you’re driving an older Ford or GM vehicle, this code reader is one that provides coverage. Short Connector Cable- It is suggested to purchase the extension cable with this product, otherwise, you may be sitting under the steering wheel to get an uncomfortable connection. This device cannot erase codes, therefore if you’re looking for a more advanced scan tool, this is not the device for you. This device is built for car enthusiasts or DIYers who want a read on their older engines without paying the high costs of a mechanic. 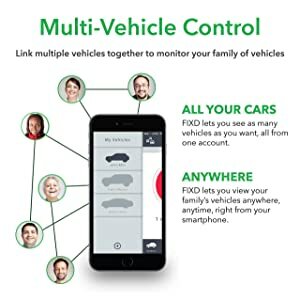 FIXD is a unique device that works with Bluetooth to connect your cars computer to a phone application. With a more modern build, this device gives you cordless diagnostic capabilities all within a sleek, compact deal. Different than the first scanner, this code reader can read and clear codes, including enhanced codes. This small transmission diagnostic tool will deliver a diagnostic report as well as provide freeze frame and live data from your engine. The Bluetooth plugin device uses advanced technology to link up to any IOS or Android device. Though cordless, this device help well with transmission diagnostic for your car. With this scan tool, you will be able to monitor multiple vehicles with one device. Furthermore, you can start to consider FIXD your family mechanic. This device is compatible with vehicles from 1995 or newer that is gas-powered. If you have an older vehicle or an electric/diesel vehicle, this device will not work for you. Bluetooth- With a handsfree device, you don’t have to worry about purchasing extra extension cords. Mobile Application- Put all the tools of the mechanic on your cell phone with the advanced FIXD application. Advanced Functions- Unlike other devices, you are not restricted to just code reading, you have access to freeze frame and live data. Easy-To-Use- Simply plug in the FIXD device and get started instantly with an easy set-up. Registering Problems- Although the instructions for set-up are simply laid out, you will need all the information from your vehicle to register, including VIN number. FIXD is a Handsfree, compact transmission diagnostic device. The tool is perfect for any mechanic or enthusiasts that enjoys Bluetooth technology while doing maintenance on vehicles. With this device, you will have all the tools you need, without all the mess of the cords. Unlike the previous devices, this particular Scan tool is specific for heavy duty trucks. Additionally, it is also supported for most cars, mini-vans and light duty trucks. This device has features that include a quick battery test and support for multiple systems including engine and transmission. With HD OBD1 and OBD2 diagnostics, the NEXAS Scanner uses a large, clear display screen to help read and erase codes in text or graphic form. Additionally, this device comes with a two-year warranty, and at just $116 there is little risk with the purchase of this professional device. This transmission error code reading device is a complete 2in1 car and heavy duty truck diagnostic tool. Mostly, every heavy-duty truck is supported with this device, from Freightliner to Caterpillar. However, since heavy-duty trucks have such a complex system, you should confirm the compatibility of your heavy-duty truck with NEXAS prior to purchase. 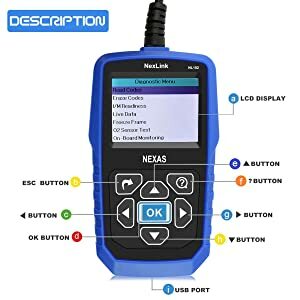 All OBD2 supported devices from 1996 to present should connect easily with this scan tool. 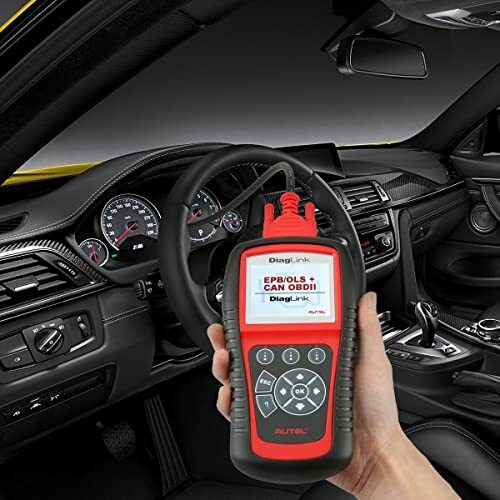 2in1 diagnostics- This device has the power to not only connect with modern cars and SUVs, but also features the ability to diagnosis complex heavy-duty engines. Multiple Systems- Run Engine Tests, check transmission function and battery voltage with the feature-filled device. Fast Features- It can read/clear codes, check live data and I/M readiness, EVAP tests and O2 sensor tests. Clear Codes- With this scanner you won’t just get the generic code that you don’t understand, you get clearly defined codes. No Battery Reset- You can check the voltage of the battery of your vehicle, but this device does not have the power to reset the battery after a change. This device is specifically for those who have experience working under the hoods of big-rigs or heavy-duty trucks. For every truck owner and operator, the easy price of this device will beat the mechanic’s cost to plug in his own scan tool. In one handheld device, you will have access to the codes sometimes unreadable by more expensive computers. Launch Diagnostics considers this device to be the superior car scanner in comparison to other devices, but take a look for yourself. With a 3.5 Color display screen and a sleek look, this car scanner supports all 10 modes of OBD2 diagnostics which allows for a complete test system. 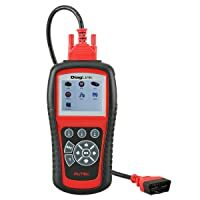 Get the job done faster with this speedy device that can read/clear codes, give DLC location/DTC help and easily determine what is causing the check engine light to be illuminated. The Launch CRP123 has extensive vehicle coverage for the main vehicle models such as Suzuki, Honda, Nissan, Toyota and more. 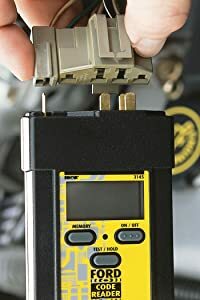 Like most other devices, this device is specified for vehicles from 1996 and newer for reading and clearing fault codes. Users should note, that while this device can work with all 4 systems. Though on some devices older than 2006, not all systems can be tested. All 4 system diagnostics- This device is functional with the Engine codes, transmission codes as well as ABS and SRS fault codes. Extensive Coverage- With a large selection of vehicles, this device can help you diagnosis multiple types of cars. Lifetime Updates- With the purchase of this device, you will also receive a lifetime supply of updates for more current technology. 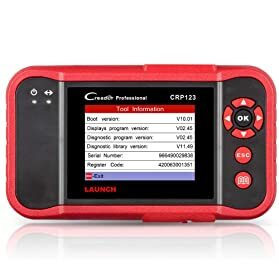 Clear and Fast- The Launch CRP123 has the sleek look of a video game device, with a large screen and fast system, diagnosing your vehicle will feel like paying a game. Cable too short- The connector cable for your vehicle may be too short depending on where your OBD2 port is. Confusing to register- The instructions for this device don’t always match up to the device at hand or may have difficulties with Windows computers. Launch diagnostics built this device with mechanics in mind who enjoy sleek and fast scan tools. The large screen and Gameboy-like build, makes car diagnostics feel like a game with smart functions in the palm of your hand. Last but not least, especially in terms of price, is the Autel MaxiCOM MK808. 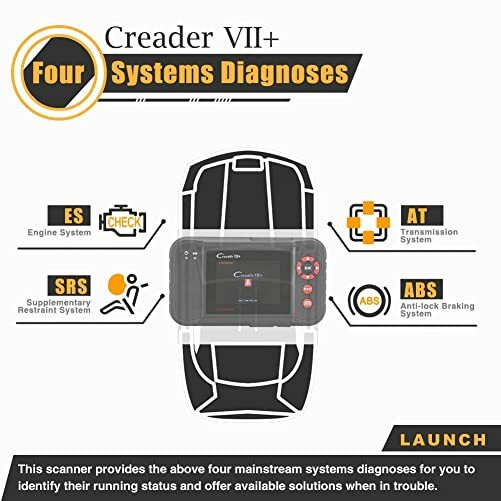 You should expect full system diagnostics with this scanner, which means beyond just 4 systems and a full detection of ALL systems. For this scanner, you must expect to foot the $499 price tag to gain access to all the advanced features included in this multifunctional scan tool. That includes ABS, SRS, Engine, Transmission, Brake System, Emission System, Fuel System, Light System, Wiper System and so on. 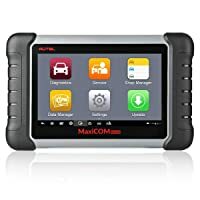 Additionally, you will have a one year warranty plus one year of updates on this 7-inch touchscreen device which includes fast core-processing and stable connection to your vehicle. This multifunctional auto scanner includes coverage for most 1996 US-based vehicles, as well as 2000 and onward EU models. The Autel MaxiCOM MK808 has a large vehicle coverage and a stable support team. This advantage allows you to check the compatibility of your vehicle before purchase. Full-Systems-This device will give a full, clear and accurate report on ALL systems within the vehicle. Responsive- With a large 7-inch touchscreen, the iPad-like diagnostic tool is touch sensitive and responds fast. Advanced Features- Go above and beyond the average features of other more traditional scan tools, with the MK808, you also have access to oil reset/EPB reset and other advanced features. Reliable Tech Support- With a support manager right on the screen, you can have a helping hand loaded with diagnostic resources. Multilingual Features- Pick between different languages while you use the portable device to print live data reports wirelessly. Lacks TPMS- While this device is loaded with ALL features, it is lacking complete TPMS functions. Price- If you are not going to use all the features of this device, it may not be worth the price, plus after a year of updates you have to start paying for future updates. The Autel MaxiCOM MK808 is an advanced device for users who have more experiencing working with and diagnosing cars. I would recommend this device for DIYers who are serious about car diagnostics as well as professional mechanics. Another Launch product that is loaded with functions and features in the Launch Creader V2+. With this scan tool, you can read and erase codes, I/M readiness, live data stream, freeze frame data, O2 sensor test, and EVAP. 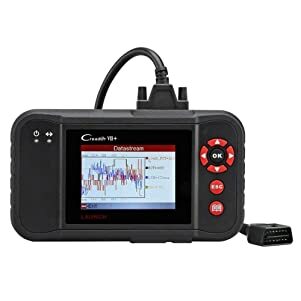 Similar to the Launch CRP123, this device also has the ability to connect to all 4 vehicle systems for Engine, Transmission, Abs and SRS. That means not only will you have full OBD2 Diagnosis, but also professional software for car diagnostics on all main ECU systems. Moreover, you will be able to monitor vehicle emissions and turn off the annoying check engine light. This handheld device allows you to run tests on the engine, transmission, ABS, and SRS. This features for the 30 main car models from America to Asia. The V2+ scanner is compatible with most Asian, American and European vehicle makes. For example, Ford, GM, Chrysler, Benz, BMW, VW, Honda, Nissan, Toyota and more. Convenient- With a handheld, easy-to-read screen, this device allows you to perform On-Board diagnostic checks without the hassle of the mechanic. Free Lifetime Update- To keep your device’s current and functioning properly, the launch team offers free lifetime updates with purchase. ABS and SRS- The Creader gives clear codes that are easy to understand and helps you get into the computer system of the ABS modules. Good for multiple ECUs– This tool can read real-time data to help you get a more accurate read on each system. No oil reset- While this device is loaded with functions, it can’t do it all. Some systems such as oil reset, Injector Coding or SAS reset is not available with this device. This device is perfect for the at-home mechanic, car enthusiast or DIYer. For less than $150, you will have a quick and reliable device that can help diagnosis multiple ECUs within the On-Board Computer of your vehicle. So…..What Transmission Diagnostic Tool is Right for You? In conclusion, you have a lot of options when it comes to selecting a tool for detecting Transmission codes. However, not every transmission diagnostic tool is created equally. If you are looking for a simple tool that is compatible with older engines, start with the Innova 3145. Or maybe you are a professional with a newer vehicle and want access to all system diagnostics. In that case, the MK808 may be a better fit for you. Whatever your case, always double check the compatibility of your vehicle before purchasing a scan tool. With this information, I hope your transmission scanner selection process can proceed with ease of mind. This code is pretty self-explanatory, the temperature of the transmission is over the limit. There are many different reasons for this to happen. It could be as simple as low transmission fluid. But to get to know the problem at root, you may need a transmission diagnostic tool. If the Transmission is experiencing a miscommunication, this code will appear. Besides, the root of the problem may be a shorted wire. Or simply, it could be caused by poor connection within the transmission. Another code that appears to inform you that important components within the vehicle are not communicating. This light is usually illuminated after the ECM has been replaced and needs to be reprogrammed. An important role of the TCM is to tell the computer in the car to turn on the check engine light. This code is indicating there is a problem and the engine light was not properly turned on. The transmission range sensor circuit gives information about what gear the vehicle is currently positioned. This code could appear for various reasons and a transmission scan tool is the best way to identify the cause.